After finishing my day in the museum, I met up with Chris in my room and we decided we should go for a beer. We walked through the Byward Market looking for a suitable bar and once we’d walked to the far end, we decided the first place we had passed looked likely to be our best option. On our way back, we bumped into our Swiss room mates; Felix and Leonz. We decided to get a beer together, they’d just left the bar we were heading to so we walked a couple of blocks in case there was something better but ended up in Pub 101 regardless. On our way in, we were stopped for I.D> and had to stand in a corner while presumably they took our photo, checked our criminal records and family history. I’ve never taken so long to get into a drinking establishment. 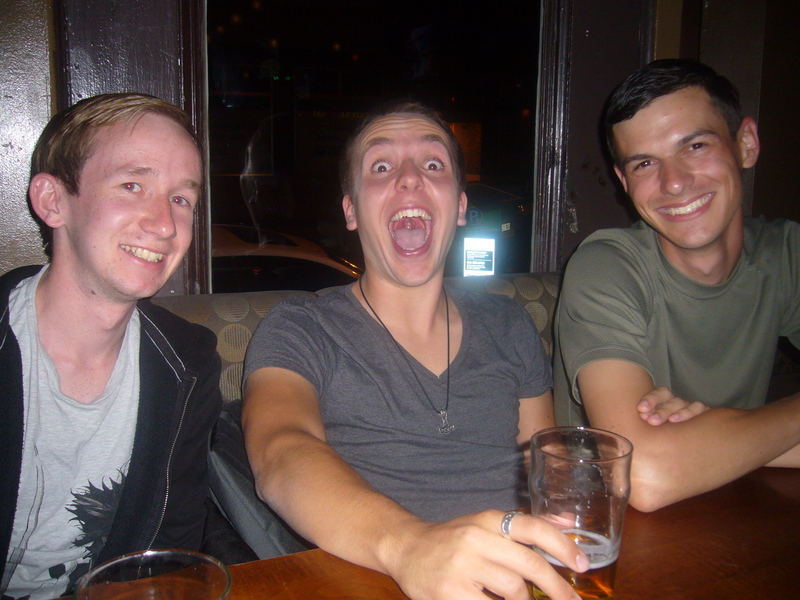 Once inside, we got cracking on a few rounds of pitchers, while Chris enjoyed a couple Strongbows. 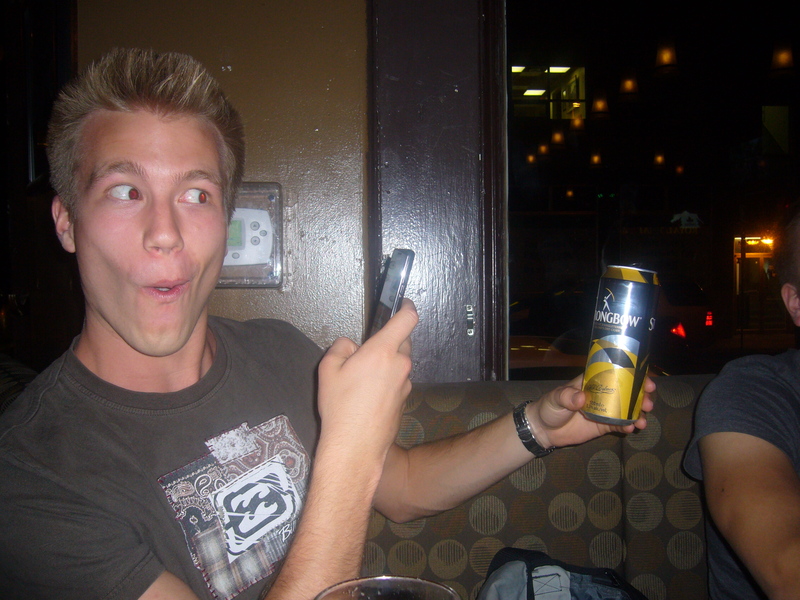 This was interesting as Felix and Leonz had no idea what cider was and had never seen Strongbow before. After the amusing faces pulled by our Swiss friends as they tried Strongbow for the first time we got down to more serious talk such as the upcoming elections in the U.S., Switzerland’s decision to ban the construction of Minarets, the economy and the most important issue of do we really want another pitcher. Yes, yes we do. The following morning I decided to check out the last few sights in Ottawa. The weather, as was now becoming standard, had taken a turn for the worse, but I was confident that I wouldn’t get wet. From here on in, I am probably going to be checking the daily forecast before I make similar decisions. 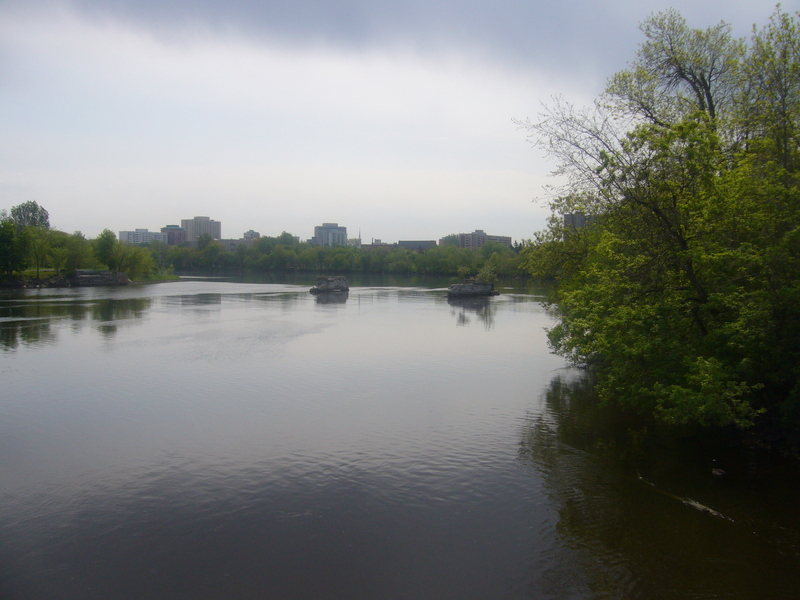 I began crossing the Rideau River, making my way towards Rideau Hall and as I was about half way across I felt the first drop of rain fall. I changed my initial assumption about staying dry to the belief that if it did continue to rain, it would not last long. I was wrong, by the time I’d reached Rideau Hall I was soaked through and was now running with the mindset of I’m already wet so it doesn’t matter. 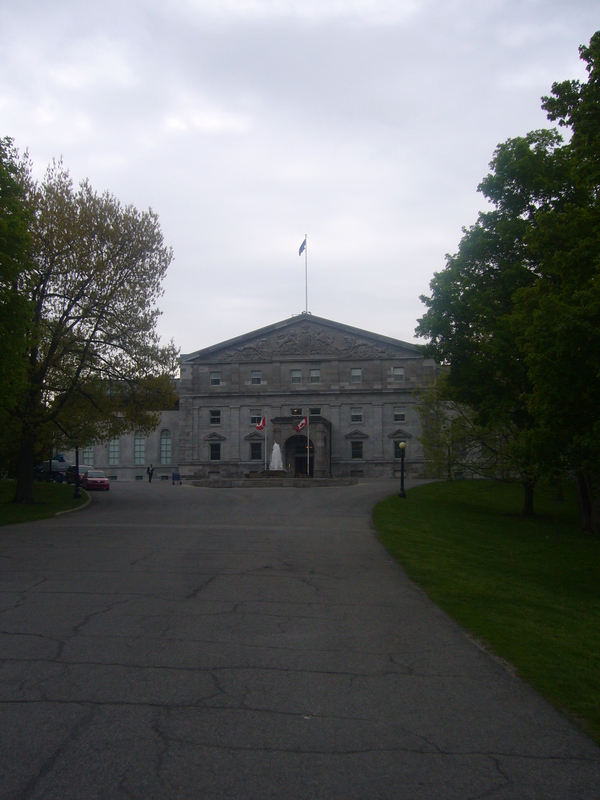 Rideau Hall is both the home of the Canadian monarch and the Governor General of Canada. Unlike many Royal buildings Rideau Hall is relatively out of the way and set in gardens not dissimilar to an English country home which gives it a much more private feel. 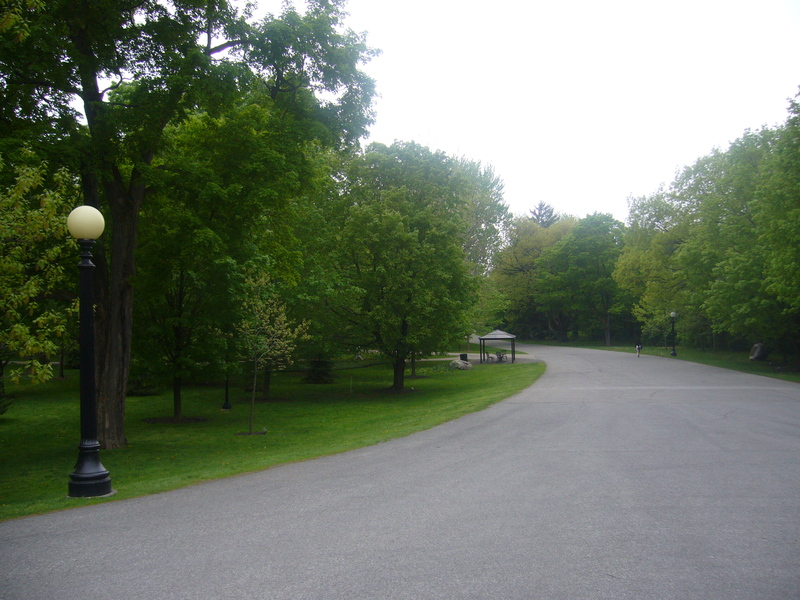 It was originally built by Thomas McKay who had a major role in the construction of the Rideau Canal. Around the grounds are well over 10,000 trees, many of them sugar maples which are apparently tapped by the kitchen staff to prepare their own maple syrup from. Many of the trees have a small plaque telling you who planted them and when, including Diana, Princess of Wales; King George IV, Queen Elizabeth II, John F. Kennedy, and Vladimir Putin to name but a few. 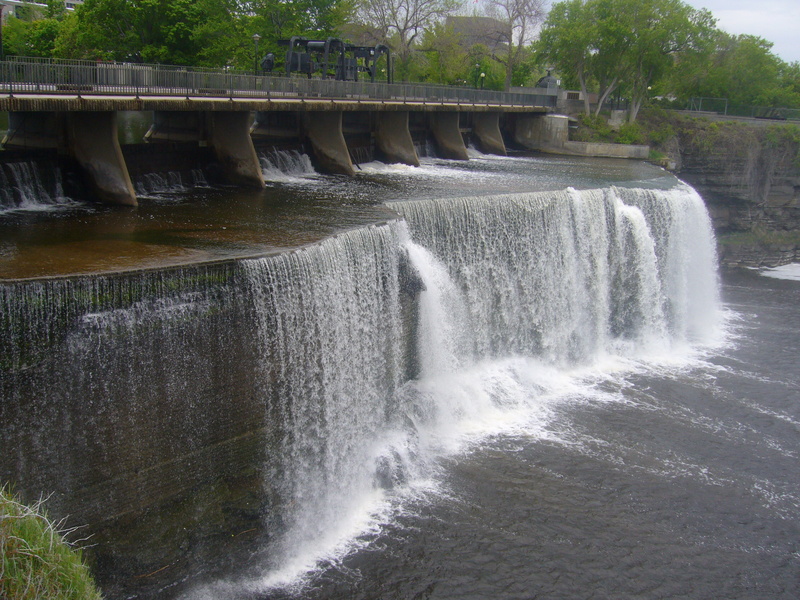 Once I had finished exploring the grounds, I initially thought about heading back to the hostel to dry off, but instead found myself walking along the Ottawa River to the small Rideau Falls where I am pretty sure I saw a beaver, or another medium sized, brown-grey rodent native to the north lands. I took a brief stroll through town, still damp hoping to dry off a little bit and found my way to Beavertails. I’m not entirely sure where I first heard of it, but in the same way that poutine is seen as a Quebecois delicacy, I had been told to try Beavertail while in Ottawa. 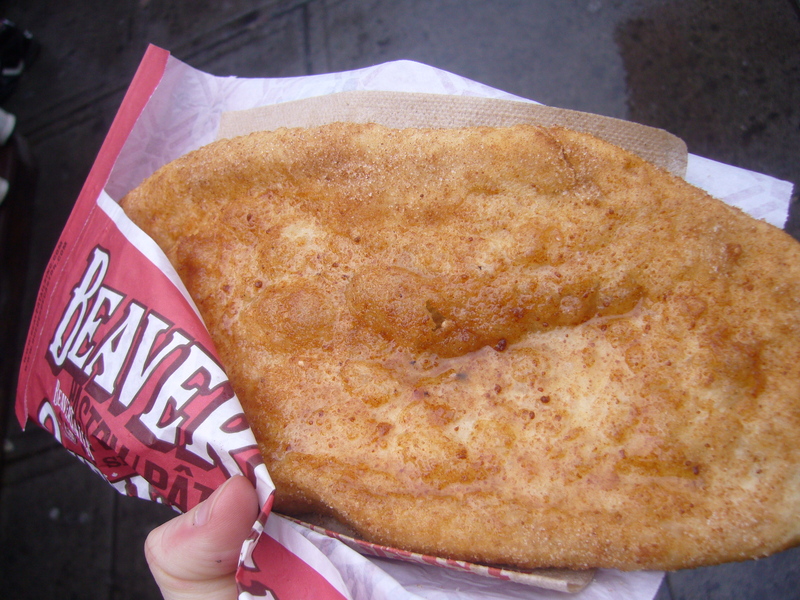 Don’t worry, Beavertail doesn’t contain any actual beaver. It’s actually a fried batter like pastry which is then sprinkled with cinnamon and sugar and drizzled with lemon juice. Similarly to poutine, it’s nothing special but after a rather miserable time in the rain it certainly warms you up and was, as with anything covered in cinnamon, pretty delicious.